I've had a few great buys this season, but my $13 plaid scarf from Forever 21 has been one of my favorites thus far. Since I'm not a huge statement jewelry person, I'm always looking for ways to add a little extra something to a sweater and a pair of jeans. Normally, I'd accessorize with a great coat, but it wasn't quite cold enough in L.A. this past weekend. 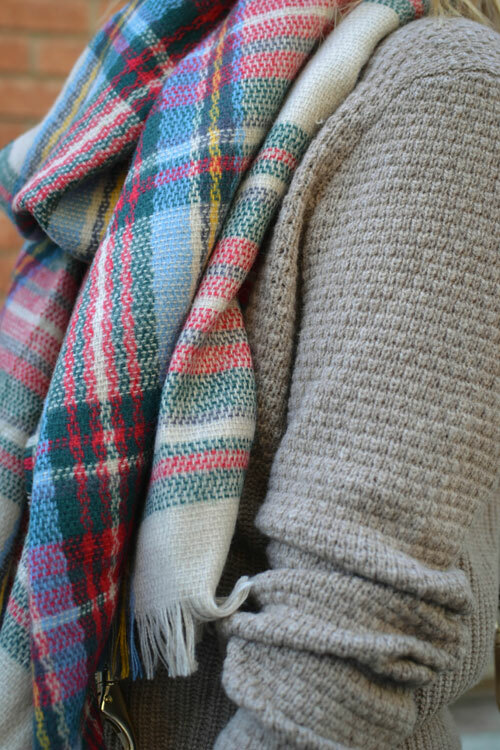 My oversized plaid scarf was exactly what I needed to add a little pop of color to my neutral colored outfit. Lovely casual outfit! Great jeans and scarf! Love the scarf. May have to swing by F21! This is a really nice look. What a great sweater!